Motorola used very carefully chosen words in the original Moto X PR statement when the phone was announced. We were told the device would be in AT&T, US Cellular, Verizon, and Sprint stores. It looks like that's happening as planned. The PR also said the device would be available for all carriers, including T-Mobile, direct from Motorola. Now the device has appeared on Motorola.com for $599.99. The listing says the T-Mobile Moto X is available "exclusively on Motorola.com," so that would seem to confirm T-Mobile won't be carrying the device at all. That means T-Mobile likely won't be offering financing on the phone. The $599.99 price is a little higher than the AT&T off-contract price of $579.99, but the same as Verizon. 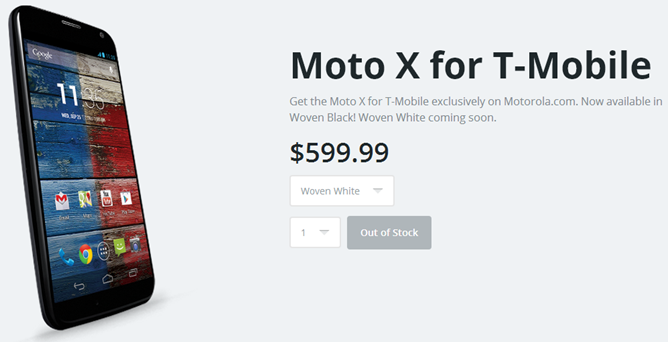 This appears to be the same Moto X we've seen before, but not locked to one of the other carriers. The developer edition still hasn't broken cover, though. 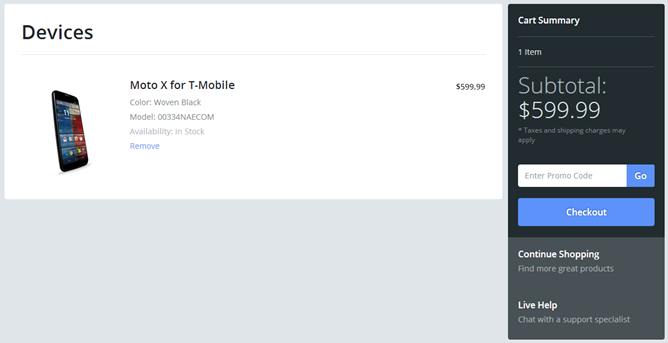 That might be a better option for T-Mobile users, depending on the bands it supports. We'll have to wait and see if anything changes when this device is actually available to buy. 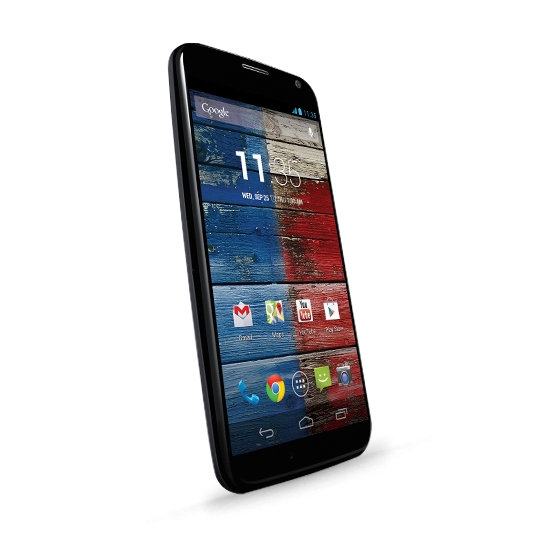 Update: The black Moto X is now in stock and ready to buy.